Future prospects for charity law, accounting, and regulation. Stimulate discussion and input into the review of the Charities Act 2005. The hosts brought together a wide range of voices and perspectives to consider the issues before us all. 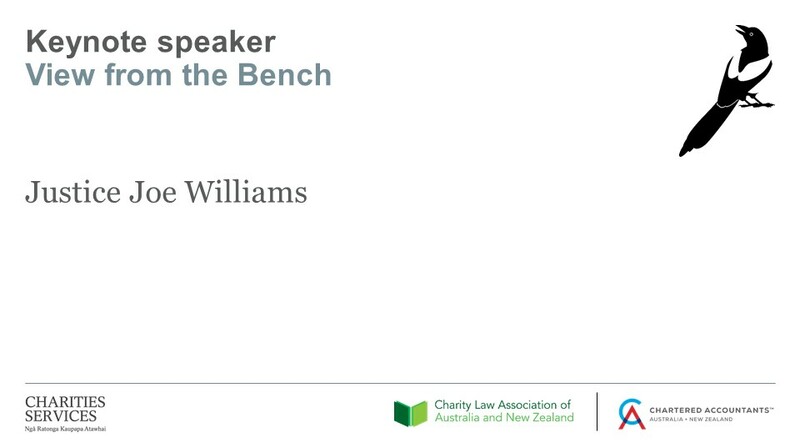 This conference provided opportunities for rich conversation on the review of the Charities Act and what the framework of charity law should look like in the future. Among the speakers were leading figures from New Zealand and overseas, including: the Minister for the Community and Voluntary Sector Hon Peeni Henare, Professor Matthew Harding from the University of Melbourne and chair of the Charity Law Association of Australia and New Zealand, Dr Oonagh Breen, Professor of Law, University College Dublin, Donna Flavell, CEO Waikato Tainui, Justice Joe Williams, speakers from Charities Services, and leading academics and practitioners from New Zealand and overseas. View below videos from the conference. SESSION 1: Do charities need to be "regulated"? 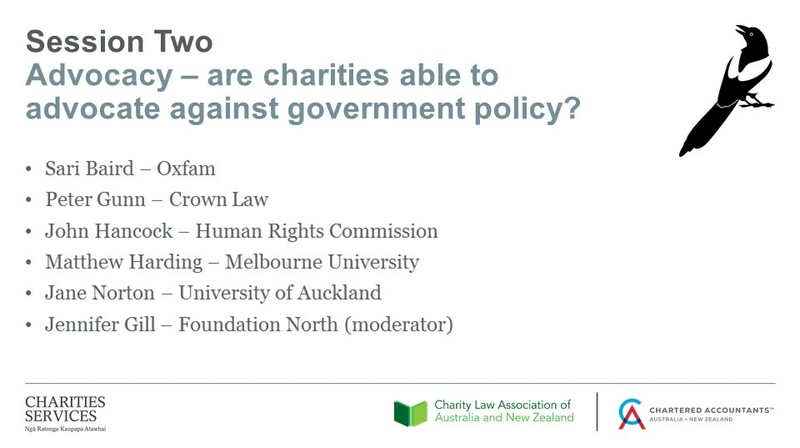 SESSION 2: Advocacy - are charities able to advocate against government policy? SESSION 3: Accumulations or application - what to do about charities' reserves? This session was a live interview for Seeds Podcast (www.theseeds.nz) which is hosted by Steven Moe and has close to 100 interviews with change makers, charities, not for profits, social enterprises and others, exploring their stories and going deeper to discover their “why”. Great for commuting, mowing lawns or other unused time in the day. The podcast can be found in podcast apps by search for ‘seeds’ or connect with Steven at stevenmoe@parryfield.com for more information. Listen to Seeds podcast of this session here.